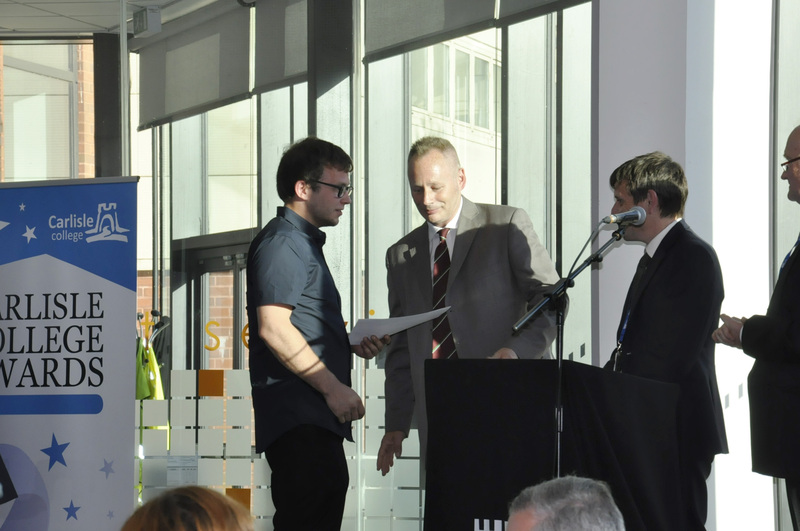 The event was created to help promote apprenticeships in the logistics and transport sectors within Cumbria. This attracted school students of years 10 and 11 who interacted with members of the Cumbria Transport Group following presentations on preparing a CV and interviewing skills. As shown in the photographs, A.W. Jenkinson Transport brought one of their next generation Scania’s to the event which was a hit with the students. All in all, the day was a great success with the students showing much interest throughout. In February this year, A.W. Jenkinson Forest Products and A.W. Jenkinson Transport Limited took part in Birmingham St Mary’s Hospice ‘Treecycling’ Campaign for the third year in a row, helping them to recover and recycle more than 3,800 Christmas trees. Over £70,000 was raised to help people living with life-limiting illness, which will go a long way in supporting the 400 people the Hospice cares for every day. The 3,800 Christmas trees were chipped directly into the back of one of A.W. Jenkinson Transport’s walking floor trailers, at three different locations, by one of A.W. Jenkinson Forest Product’s Axtor chipper units. The material was then hauled to A.W. Jenkinson’s processing facility at Whitchurch for use in the biomass market. In December this year, A.W. Jenkinson Penrith Truckstop was voted winner of the Truckstop News Best Parking Award in the Truckstop of the Year Competition 2018. Pictured are Penrith Truckstop’s General Manager Phill Carrick, alongside Assistant Manager Sarah Harvey, Shop Supervisor Pamela Kitchen and Security Guard Paul Gemmell with the trophy awarded earlier this week. Phill said ‘we’re absolutely thrilled to receive this award - the staff have worked really hard and I would like to say a big thank-you to all of them, and to all of the people who voted for us and your continued custom’. Parking at A.W. Jenkinson Truckstop has some great advantages, including 24/7 security, and CCTV system with flood-lighting across the entire park. The park offers space for almost 200 vehicles, including a dedicated fridge parking and change-over area, as well as a state-of-the-art barrier system offering hassle-free access with up to 3 hours free parking. A.W. Jenkinson Penrith Truckstop is pleased to offer a number of services such as Bed & Breakfast accommodation in their newly refurbished motel rooms and is also open to the general public with a well-stocked shop and newsagents and a restaurant area, serving high-quality homemade food from 6am Monday to 12 noon Saturday, all made on the premises using locally sourced meats and produce. If you would like to visit the A.W. Jenkinson Truckstop website for more information, please click here. The 2018 APF show was classed as one of the best yet, with A.W. Jenkinson Forest Products there in full force. Visitors were able to see over 2 ½ miles and £50 million of working machinery at the show. Members of A.W Jenkinson Forest Products and A.W. Jenkinson Transport were on hand to meet with clients, customers and visitors, alongside over 300 other exhibitors who attended the UK’s largest woodland, forestry, arboricultural trees and timber exhibition. The A.W. Jenkinson stand featured one of our very own ‘wrapped’ Next-Generation Scania units alongside machinery from some of our sub-contractors, with an AWJ Timber Crane also located on the H.S.E. Stand. One of our personal highlights from the show was the European Chainsaw Carving Competition. This major event always draws large crowds and entrants from around the globe and was co-sponsored by A.W. Jenkinson and UPM Tilhill. In June this year, A.W. 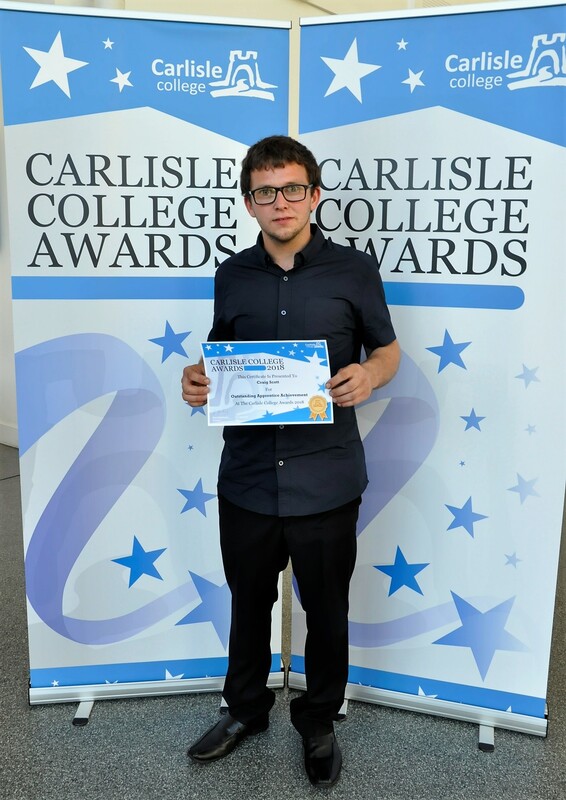 Jenkinson Transport’s Vehicle Maintenance Apprentice, Craig Scott was awarded Most Improved and Dedicated Apprentice for 2018. Craig, who is based at the A.W. Jenkinson Transport Lockerbie depot, has made exceptional progress since he joined the Company in 2016. 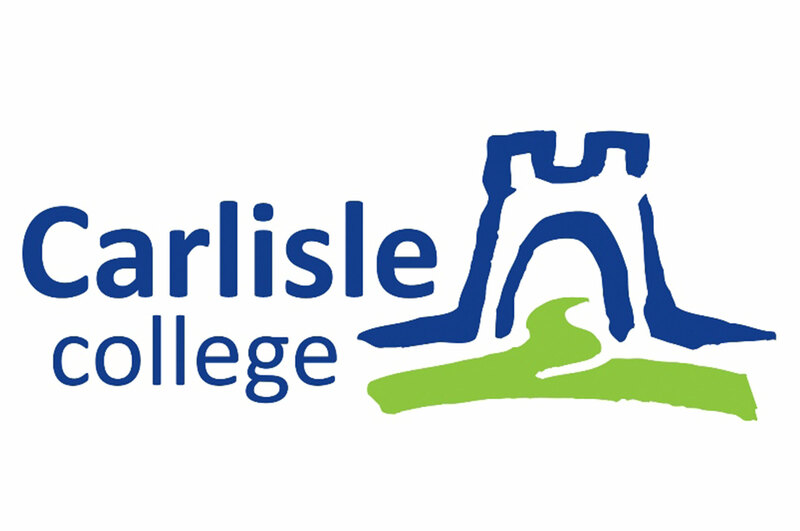 Craig’s assessors from Carlisle College picked up on his determination and enthusiasm for work, as he would come into the yard early each day to complete important jobs before College started. They were also impressed with the amount of knowledge that Craig had gained from his position, noting that he would often would explain things to the other students during their classes. Craig is now on call in the evenings and regularly travels throughout Scotland, successfully completing many repairs independently. He is part of a large, friendly team in the Maintenance Department at Lockerbie and has completed various relevant training courses on subjects such as ABS Braking Systems and Electrical Issues. We warmly congratulate Craig on his award and look forward to his continued success as a valued member of the A.W. Jenkinson Transport Maintenance Team. In May this year, A.W. Jenkinson Forest Products held their Annual Football Tournament in aid of The Great North Air Ambulance Service. Ten teams were entered, with players from various sectors of the A.W. Jenkinson Group (including Transport, Farms, Garages, and numerous teams from the Head Office), all from several different depots around the county, with a great day had by all. The Final match saw the mixed male and female team from ‘The Clifton Weighbridge’ play ‘The A.W. Jenkinson Transport Team’, with the Weighbridge taking home the trophy on the day for the second year in a row. Fortunately, there were no major injuries during the tournament, with only a few grazed knees by the end of the day. The event raised an impressive amount for the GNAAS Charity, with special thanks to A&A Recycling Limited for their generous donation and to The Penrith Leisure Centre for use of two of their five-a-side pitches for the entire day. We look forward to the next event in 2019. This January, A.W. Jenkinson Forest Products and A.W. Jenkinson Transport Limited took part in Birmingham St Mary’s Hospice ‘Treecycling’ Campaign for the second year in a row, helping them to recover and recycle more than 2,600 Christmas trees. Over £49,000 was raised to help people living with a terminal illness, with the Hospice commenting that every tree they collected and recycled equalled roughly one hour of care from their nurses. The 2,600 Christmas trees were chipped directly into the back of an AWJTL walking floor trailer on site at three different locations by one of AWJFP’s Axtor chipper units. The material was then hauled to A.W. Jenkinson’s processing site at Whitchurch for use in the biomass market. In 2017, following several successful shows for the Whinfellpark Limousins team, the decision was taken to buy a bespoke trailer in order to accommodate not only the cattle but also the stockmen. This 45ft trailer, custom built by Houghton Parkhouse of Milnthorpe, is used to transport the A.W. Jenkinson Farm’s’ pedigree Limousins across the country, taking them to prestigious National and Local shows, National Limousin Society sales, and also delivering cattle to Whinfellpark Limousin customers throughout the UK. The trailer can be pulled by any one of the six hundred A.W. Jenkinson Transport Limited units. Houghton Parkhouse were selected as the preferred supplier and manufacturer not simply as they are a local company but because their industry-leading innovations and award-winning designers ensured the best environment for both animals and stockmen. Working closely with the design team, the trailer was configured with a step frame, a single deck using the whole of the lower area for stock and an upper level step frame area as living space for the stockmen, allowing them to remain close to the livestock whilst at overnight events. This gives the Whinfellpark Limousins team all the capacity needed for their show requirements in terms of stock numbers and staff accommodation. Additionally, there is the option of reverting the whole trailer back to stock accommodation whenever it is necessary. Ultimately, the trailer ensures that A.W. Jenkinson Farms’ most valuable assets – animals and staff can travel in the safest and most comfortable vehicle available. A.W. Jenkinson Transport Limited attended ‘Truxx Factor Show’ at Rockingham Raceway this September, with A.W. Jenkinson employees Jonny Butler and Darren Beech being awarded first place trophies, as shown pictured. Jonny was up against a large variation of trucks with PX17 BXV in the ‘Best New Truck Category’ under 18 months old and came away with first place. Darren with C243 OHH was up against 51 other trucks in the Classic/Vintage Restored category and also came away with first place. In August this year, A.W. Jenkinson Transport Limited attended The Gloucestershire Vintage and Country Extravaganza, together with 300 other commercial vehicles. With a show of 4 immaculate A.W. Jenkinson Transport Limited trucks in the Commercial Section, a good day was had by all. AWJTL Transport Controller, Darren Beech, was in attendance on the day, alongside drivers Jonathan Butler, Jamie Doick and Craig Clark. Also in May this year, A.W. Jenkinson Transport Limited entered a collection of trucks from its fleet into Truckfest South in Newbury. A.W. Jenkinson drivers Jonathan Butler, Graham Miness, Gary Ersser, Jamie Doick, Russel Gray, Craig Clark and Craig Hurcombe were all entered into the ‘Best Kept Company Owned’ class, with Jonathan Butler and Graham Miness being presented with ‘Highly Commended’ awards. C243 OHH (pictured above) has won similar awards so far this year, with 3rd place in the ‘Best Vintage or Retro Restored’ class at Santa Pod and 2nd place at Thruxton Truck Show. Both Darren and Jonny were also involved in the ‘Gaydon Festival of Transport’ on the 28th May, where around 100 trucks take part in a charity road-run from Swindon up the Fosse Way, finishing at Gaydon Motor Museum.